April is finally here, and we are ready to welcome spring with open arms. Winter has been a wonderful time for warm meals and introspection, but now we are ready for warm weather, fresh produce and new life. As the days get longer, we can’t think of a better way to enjoy the sunlight than with friends and family over a delicious meal. So grab your loved ones, pack a meal and plan for a lovely afternoon outdoors. In the busy pace of modern life, it can be easy to get tangled in the stress and schedule of work, family and caring for a home. Sometimes we forget to stop and enjoy the moments with the ones we love. Food can be a great way to get us out of our heads and into the present moment. After all, everyone has to eat. Why not slow down and enjoy the moment? At Zojirushi, we know how busy you are. We work hard to make your time in the kitchen as effortless and efficient as possible so you can spend more time where it counts – at the table. If you only get one or two moments to slow down each day, please, spend those moments with the ones you love. And remember a home-cooked meal can be just as easy as a store-bought one. The only difference is, the one you make at home will feed you more than ever imagined, because that’s where the love is. One of the biggest food trends of 2013 has been fermentation. People everywhere from Portland, Oregon to New York City are making, gifting and trading jars of everything from live kefir cultures to sauerkraut to kimchi. Publications for foodies and health-foodies alike are declaring fermented foods both healthy and delicious. And we, at Zojirushi, agree. While fermentation has been around longer than human beings themselves, many in the US are rediscovering the age-old practice and breathing new life into it. The slow process can be a great way to step out of modern life and into a simpler era where people lived in harmony with the cycles of nature. Fermentation literally means the chemical breakdown of a substance by yeast, bacteria or other microorganisms. It is the process that has brought us beer, wine, cheese and pickles. It actually starts the digestion process before we do, making nutrients more accessible to the human body. 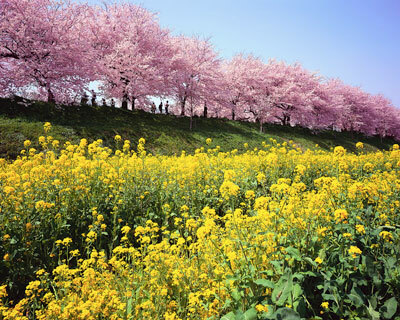 Japan has a long history of fermenting foods that dates back to many centuries. In fact, most Japanese staples are in some way fermented and are full of living bacteria: miso, shoyu, sake, katsuobushi and tsukemono. And, many Japanese homes have a jar or pot of something pickling in the cupboard. 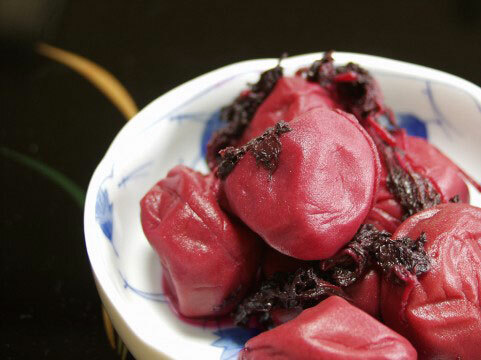 Umeboshi or salted plums as well as nukazuke or fermented rice bran pickles are two simple forms of pickles that are easy to make at home and commonly found throughout Japan. You will find that the flavors vary slightly from region to region as each prefecture has its own style, making every pickle you taste unique in flavor profile much like a fine wine. The process is so simple, even you can do it right at home. Homemade pickles make a great side dish to any meal, a unique gift, plus they’re great for your health. You can find many easy recipes and tutorials online, and put a personal stamp on your creation. We look forward to seeing what you make, and hearing all about the magic you create in the process. Happy pickling! Having a history that dates back to centuries, Sado holds a long tradition that has evolved over time to an exquisite customary event it is today. It is an elegant display of aesthetic and social excellence as well as an art of performance involving preparation and serving of matcha, the Japanese green tea. The concept of Japanese aesth etics is found in the definition of Wabi-Sabi, an idea of the most austere form of finding acceptance in imperfection; a belief derived from the Buddhist teaching. The characteristics of wabi-sabi include finding beauty in simplicity and harmony, a balance that is achieved and enhanced with practice of sado. 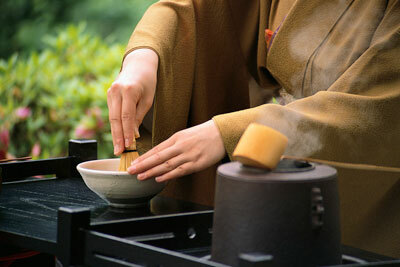 There are a few essential steps to properly preparing tea at a Japanese Tea Ceremony. Prior to meeting the host, the guests purify themselves by washing their hands and mouth at a stone basin, then they are called to a small room where the host greets each guest with a silent bow. Depending on the formality of the event, guests are served wagashi, a sweet traditional snack, or chaji, a full course meal, with tea. The preparation of tea begins by gracefully cleaning the utensils-including chawan, the tea bowl, chasen, the whisk, and chashaku, the tea scoop. The host offers the prepared tea to the guest. Each guest takes a sip and wipes the rim of the chawan before offering it to the next guest. Upon receiving the chawan, bows are exchanged and the chawan is raised as a gesture of respect to the host. When the chawan is returned to the host, the host then cleans the utensils and exits the room, completing the ceremony. The art of sado is so important to Japanese culture that it once was commonly taught in schools. Today, there are classes and clubs dedicated to learning and mastering sado. This month we would like to feature one of our most advanced water boilers, the VE® Hybrid Water Boiler & Warmer CY-DYC40. Unlike our other water boilers, this model comes with a battery operated, cordless dispensing system for extra portability. Also, the vacuum-electric hybrid keep warm system keeps water warm non-electronically, providing energy efficiency. 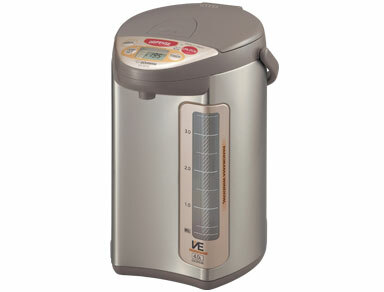 The micro computerized temperature control system comes with 3 temperature settings for various uses like making cup noodles, blanching vegetables and steeping various types of teas. All, simply so that you can enjoy hot water whenever and wherever you want!